The price of PTFE rose from￥56,000 per ton in August 2010 to ￥155,000 per ton in May 2011. 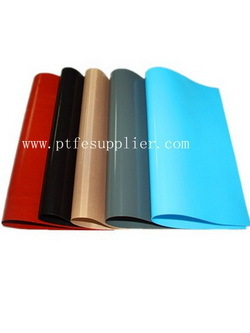 So for us,it is very difficult to keep the same price of PTFE coated fabric as 2010. Analysts said the listed companies—ZHEJIANG JUHUA CO., LTD and SHANGHAI 3F NEW MATERIALS CO., LTD (3FNM) will benefit from the price increase. One important reason of the rapid increase of PTFE’s price is the supply tension. The business community analyst Zhang Li said, although PTFE overcapacity in our country, the main raw material tetrafluoroethylene monomer for production of PTFE is serious short of supply, thus limiting the production of Teflon. CICC report shows, in 2010, PTFE global production capacity is about 15 million tons, demand is about 100,000 tons, but production is only 90,000 tons. PTFE mainly comes from the thermal decomposition of difluorochloromethane. From the second half of 2010, subject to foreign production capacity elimination of refrigerant R22, and the device shut down factors, no more new raw materials R22 supply to tetrafluoroethylene. Another major use of PTFE is producing Pentafluoroethane, R125 demand growth also push up the demand for PTFE. In addition, the Japanese earthquake results 1.5-2.5 million tons reduction of the Global effective PTFE capacity. Also the risk and security hidden danger in the production process is very big, there are explosions in the Polymerization or distillation process almost each year, the constant PTFE plant maintenance also contributed to PTFE supply tensions. CICC analysts forecast, PTFE economic prosperity is expected to maintain 1-2 years. However, the business community analyst Wang Xiaoman said PTFE supply tension situation will gradually change. According to incomplete statistics, this year PTFE capacity will add 30%-40%, if PTFE production capacity is full released, it will inevitably impact the Teflon upward trend. According to CICC analysts forecast, every share earning of JuHua shares in 2011 is 1.85 yuan, among them PTFE contribution is 0.37 yuan; every share earning of 3FNM shares in 2011 is 1.90 yuan, among them PTFE contribution is 0.72 yuan.